Genuine Parts For Your Genuine Chevrolet and MORE! When you need parts or accessories for your Chevrolet in Indianapolis, Carmel, or Greenwood, come to Ray Skillman Discount Chevrolet. Are you the type that likes to get your hands dirty and fix your Chevrolet car, truck, or SUV at home? If you have the know-how and can fix your own car, let us provide you with genuine Chevrolet parts and accessories to ensure the right part every time. Talk to our parts specialists and get the parts you need at Ray Skillman Discount Chevrolet today. What do we mean when we say genuine Chevrolet parts? Genuine Chevrolet parts are made by Chevrolet to fit your Chevrolet car, truck, or SUV. That means you get the perfect fit every time and you won’t have to worry that you have brought home the wrong one, which saves you time. Most of our parts come with a warranty, so no need to worry; you are completely covered. Many automotive parts stores carry primarily aftermarket parts because they make more money on them. While some of these non-original parts may work in a pinch, they weren’t made specifically for your Chevrolet vehicle like the genuine Chevrolet parts are. The great news is that we carry a strong inventory of genuine Chevrolet parts in our store so you have easy access to the parts you need when you need them. If you aren’t sure which part is right for your vehicle, our parts experts can help you find the right part for the job. We are available to help you in our Parts Department, by phone, or you can fill out an online parts request on our website. Come see us in our Parts Department at Ray Skillman Discount Chevrolet to get the very best of what you need to keep your vehicle going. When you want to upgrade your vehicle to a newer model, but don’t quite have the cash flow to bankroll a new ride, what do you do? At Ray Skillman Discount Chevrolet, we have a better way to update your vehicle with a more modern look without breaking the bank. We offer accessories to fit your Chevrolet vehicle that will make your vehicle look new. Have you been dying to chrome-out your car? Maybe you want to add side steps to your truck to make getting inside easier after you put the lift kit on it. We can help! We have a great selection of aftermarket accessories that will add some bling to your vehicle. These aftermarket accessories are manufacturer approved so you know they will fit great on your car, truck, or SUV. The great news is, if you don’t want to install them yourself, or if you don’t know how our team in the Service Department can do it for you. Schedule your appointment today after you pick up your accessories in our Parts Department at Ray Skillman Discount Chevrolet. 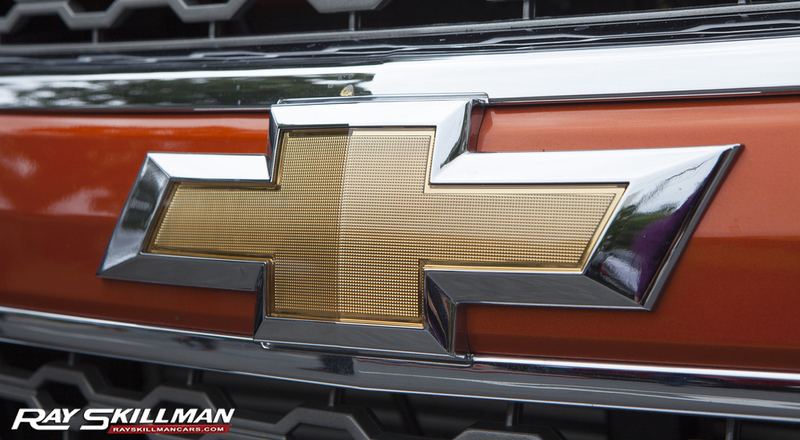 Are you considering the purchase of parts or accessories for your Chevrolet vehicle? It can be tempting to head to your local automotive parts store, but it is better to buy them at Ray Skillman Discount Chevrolet. We have a great selection of genuine Chevrolet parts in stock so you won’t have to wait for your order to come in. When you choose our parts, you know that they will fit the first time and you get a warranty on most parts! Our parts team is full of experts who are eager to help you select the correct part for the job. We offer competitive prices and even have specials from time to time that will save you even more money. We offer coupons on our website so be sure to look at those for an even better value. If you don’t see what you are looking for, we can order direct from the manufacturer to save you time and money. Stop by Ray Skillman Discount Chevrolet to pick up your parts today.